YES! 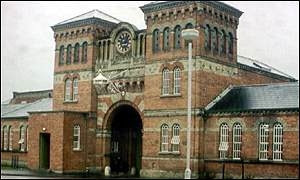 Broadmoor Hospital, formerly known as Broadmoor Asylum for the Criminally Insane is right on my doorstep! I am the kind of sick individual who would find that exceptionally, yet gruesomely, cool! Do you get a big siren go off if someone escapes? At least it has a nice clock tower! You must read "The Surgeon of Crowthorne" then if you haven't already!